2015 Citroen Berlingo Multispace - specs, engines and on sale dates | What Car? 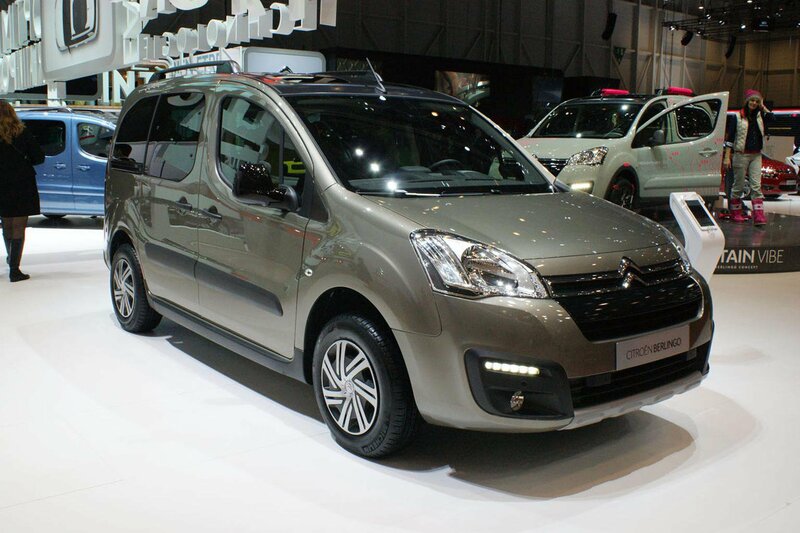 Citroen is revealing an updated version of it's Berlingo Multispace at the Geneva motor show. The Berlingo Multispace is the French manufacturer's practical van-derived, five-seater MPV. Changes are pretty subtle, but externally the most immediately obvious are styling tweaks to the front-end including a new bumper, daytime running lights and grill. There are also two new colours to choose from. What engines does the 2015 Citroen Berlingo Multispace come with? Given the car's commercial origins, it's not surprising to find that all of the engines run on diesel, but at least Citroen's range of clean BlueHDi engines have made it to the Berlingo for the first time. There are three outputs: the entry-level engine is a 75PS engine with a claimed economy figure of 65.7mpg and CO2 emissions of 113g/km, figures matched by the more powerful 100PS version. There are two versions of the 100PS, one with engine stop-start technology. The top 120PS version gets a six-speed manual gearbox and emits 115g/km of CO2, with a claimed economy figure of 64.2mpg. The previous-generation car was already reasonably well equipped, with rear parking sensors, speed-limiter, cruise control and hill-start assist on more upmarket versions. For the first time, autonomous emergency braking, which slows the car if it thinks you are going to crash into something, is available. Front parking sensors and a reversing camera are also added to the options list for the first time. A 7in touchscreen is now fitted as standard on Multispace versions, integrating the hands-free system, audio and vehicle specific settings into one interface. From autumn onwards, further improvements will arrive with the ability to control the driver's smartphone functions and voice control systems will be added. Prices are expected to be roughly in line with current models, which means the range is likely to start from around £13500. Discounts are not hard to find on the current model, and once the new model has been on sale for a few months we'd expect to find discounts of around £1500 on the 2015 Berlingo Multispace.